The centre is an eight station unit with comfortable reclining chairs. Off road parking spaces are available directly outside the centre. Snacks and refreshments are provided at no extra charge. It is a pleasantly appointed centre with many facilities to help pass the time, such as portable TV/DVD players, magazines and Wireless Internet if you wish to use your laptop. First-line medical support is available at all times to resolve any medical problems arising during your holiday. 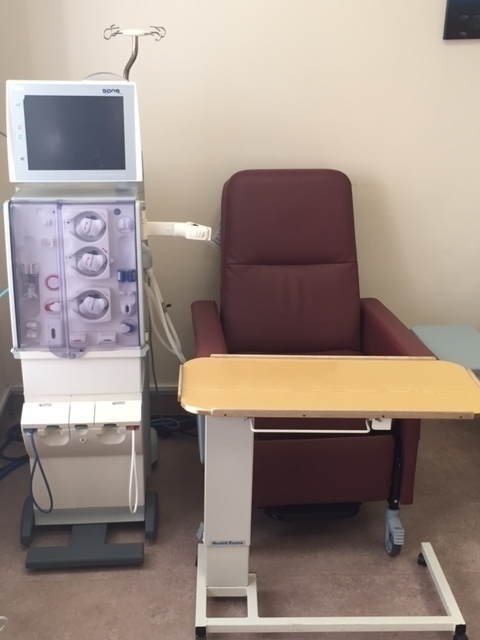 All equipment is covered by an emergency stand-by facility and is regularly fully serviced by qualified renal technicians.